Take a load off by relaxing in the All Day Anime Room with your friends or family. You can sit back, rest your feet, enjoy your dinner, and watch anime provided by Crunchyroll, a sponsor. The shows in this room are suitable for all audiences. *Where do I get an 18+ wristband? 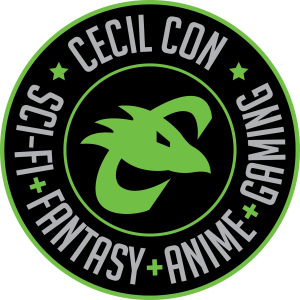 Present your ID to the Cecil Con staff member at the door to the 18+ All Day Anime room. They will confirm your age and date of birth and then equip you with an 18+ wristband which you can use to reenter the room all day.